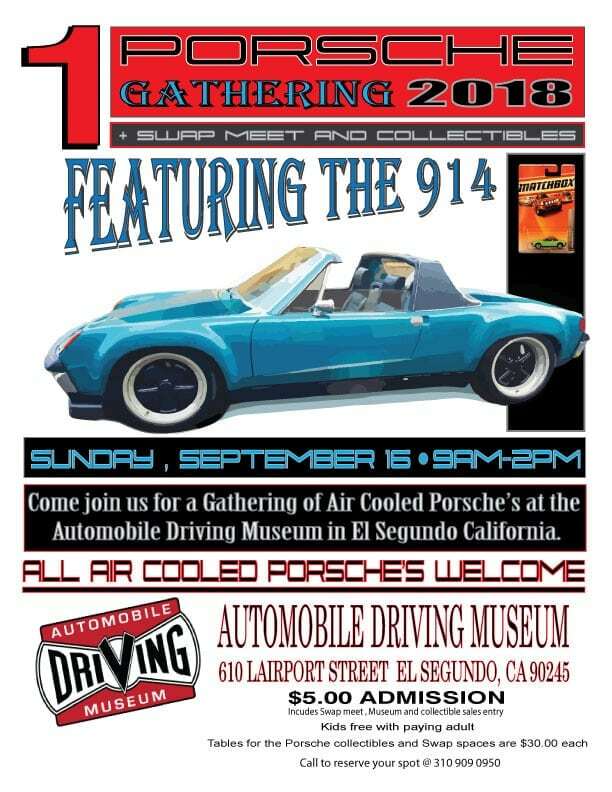 Come to the first Porsche Gathering at the Automobile Driving Museum! Featuring the 914! A gathering of Air-Cooled Porsches with a collectibles display and swap meet! Vendor space available for swap meet and collectibles – $30 a spot – purchase below.